I am generally not a fan of canned meats and fish. Very few of them are as good as fresh (olive oil-packed albacore being a notable exception), and many go from wonderful to foul when punished by the rigors of the pressure-canning process. None in my experience suffer more than mussels. Mussels are delicate little creatures. Oddly shaped, they seem to be conjured from some as-yet-unknown Georgia O’Keefe painting. Eaten as soon as they pop their shells, they are wonderful bar food. Messy, briny, usually studded with bits of garlic and greenery, accompanied by lots of beer or wine, a crust of bread to soak up the broth — eating mussels is only slightly less primal than sitting around cracking crabs or peeling crawdads. But put mussels in a can and you wreck everything that’s lovely about them: Usually smoked, these sad morsels lose their delicacy and become chalky outlines of their former selves. I’ve hated them since I was a teenager. Hated them so much I avoided smoked mussels wherever I found them. Until now. Mussel season in California is open from November to April, and I try to make it early in the season, when the mussels are fat. Both California mussels, Mytilus californianus, and the non-native blue mussel, Mytilus edulis, are all over the coast, waiting to be picked if you have a fishing license. But don’t ask me for my spot; I am not telling. Pull them from the rocks by hand and knock off as many barnacles, limpets, etc as I can. I then wash the mussels in seawater before putting them into a 5-gallon bucket. When I am ready to go home, I fill the bucket about two-thirds of the way full of seawater and cover the mussels with it. When I am home, I get a large lidded container (I use a big tupperware thingie) and set a sieve over it. I line the sieve with a paper towel and pour some seawater through it. This removes some grit and debris I’d inadvertently brought home. Arrange the mussels in the container and let them purge for a day or two. Yes, mussels have grit in them. Not as much as clams, but they still do. When they are ready, I scrub them under running water to get any more debris, etc, off them. Some barnacles and such won’t come off, but that’s not a big deal. This is important: Leave the byssal threads, the beards, on the mussels until right before you cook them. Pulling the beard off can kill the mussel. 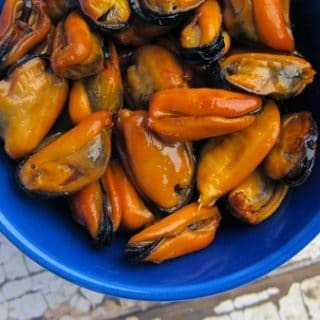 Once your mussels are ready to rock, I steam them open in small batches, removing each one just as it pops open. When they are all open (toss those that don’t open), strain the liquid in the pot through a paper towel or cheesecloth and reserve. Use a small, sharp knife to remove all the mussels — I try to get the little “scallop” muscle that keeps the mussel in its shell, too — and drop them into the strained broth. Now you smoke the mussels for a couple hours, then toss them in some really good oil. Voila! A masterpiece. 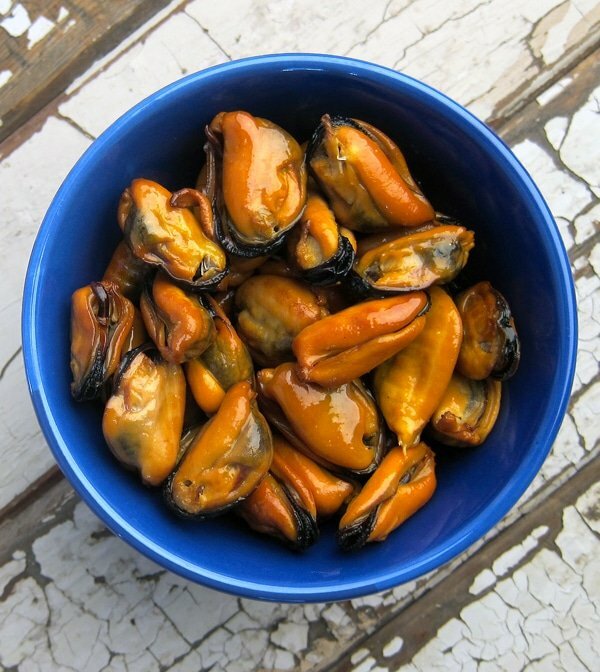 You can just sit there and eat them, as I did, or you can make a seafood salad with them, add the smoked mussels to pasta or rice, set them out as a party appetizer or whatever. If you make too many, please don’t pressure can them. I vacuum sealed my extras and froze them. Thawed, they are almost as good as fresh. It doesn't matter whether you use wild or farmed mussels for this recipe. 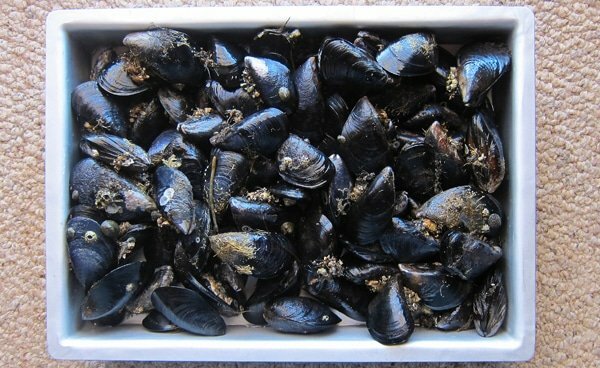 Just check any you have before you cook and if they are open, set them on the counter and tap them: if the mussels do not close, toss them. Sometimes mussels will gape when stored for a bit, and when they are cold they don't move very fast, so give this process a few minutes. I smoke my mussels over alder wood or a fruit wood like cherry or apple. You can try other woods to your liking. Please use a high quality oil for finishing the mussels. It makes a difference. Make sure all the mussels are clean. You can debeard them now or do as I do and cut the beard off after I'd steamed the mussels. Bring the vermouth and water to a boil and add some mussels in a single layer. Cover and steam until they are open, which should take between a minute and 3 minutes. Move opened mussels to a bowl or baking sheet and add more fresh ones until you've steamed open all the mussels. Strain the cooking liquid through a paper towel or cheesecloth (to remove all the debris) into a bowl. Set aside. Use a small, sharp knife to remove the mussels from the shells, trying your best to get the little "scallop" muscle that holds the mussel in its shell -- it's tasty! Use the knife to cut off the beard if you have not done so already. When it's done, drop each mussel into the strained broth. Make sure all the mussels soak for at least 20 minutes. Fire up the smoker. I use alder wood, and I like the temperature to be around 145°F. Keep in mind mussels are small, so you will need a pretty fine grate to prevent them from falling through. I use dehydrator grates. Smoke the mussels for 90 minutes to 2 hours -- you don't need a whole lot of time here, just enough to get a smoky flavor without overcooking the mussels. 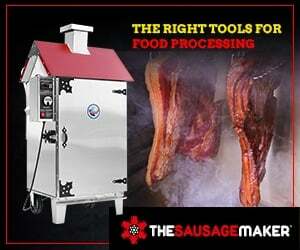 Don't let the smoker get too hot! 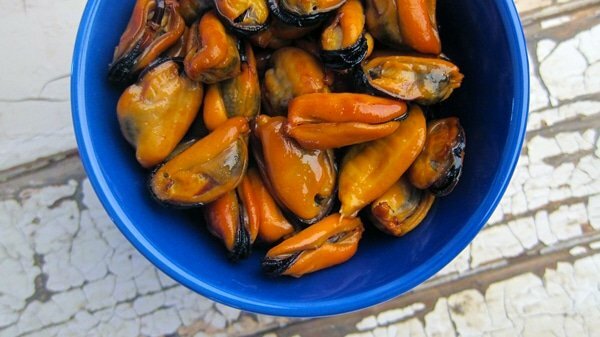 When they are done, toss the mussels in the oil and eat, or store in a glass jar in the fridge for up to a week. Freeze what you don't eat. 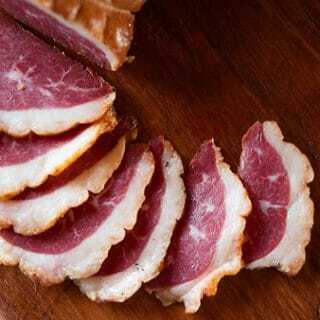 You can find all sorts of recipes for smoked meats and fish here on Hunter Angler Gardener Cook! Runplestitskin: Because, in my opinion, it makes them too smoky. But there is not reason not to if you like a very smoky oyster.